When you choose Heil cooling equipment, it means your home comfort is backed by 100 years of superior engineering and quality manufacturing. Each unit is 100% run tested, and we design our products to give you the best in quality, energy efficiency and reliability. It’s our tradition to deliver products that exceed your expectations. 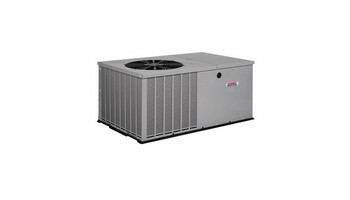 You can depend on us Heil packaged all-in-one units are designed for the best in durability and comfort. The units stay enclosed outside or on roofs and come in a variety of combinations: dual fuel gas furnace/heat pump, gas furnace/air conditioner, electric heat pump and electric air conditioner. Get the most out of a packaged system by choosing the product that fits your comfort needs. All of our packaged products feature comfort-enhancing and durable features to deliver lasting performance. For greater efficiency in a unit, look for modulating and two-stage heating or cooling operation as well as multi- and two-speed blower motors. Our toughest units feature wire hail guard grilles, tin-plated copper evaporator coil tubing, and stainless steel heat exchangers (in gas heating units). And our No Hassle Replacement limited warranty is offered on our premium products to give you peace of mind. Heil packaged units offer money savings, increased comfort, durable performance and quiet operation.